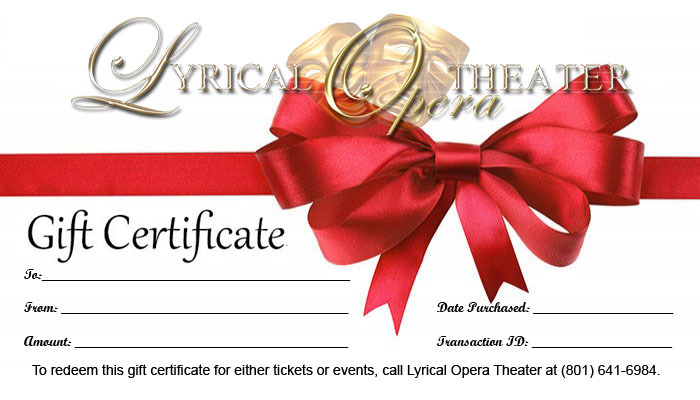 Gift certificates make a great gift for family, friends, and other special people in your life! Take the guess work out of gift giving by giving the gift of live singing, dancing and classy entertainment...a gift they will remember for a lifetime! They can be used for opera or event tickets and can be redeemed online, in-person or over the phone. They are available in various amounts.